" . . . The genetics tells us very clearly that modern humans had their origins in Africa within the last hundred and fifty thousand years." Bryan Sykes, The Seven Daughters of Eve, 2001, p. 277. 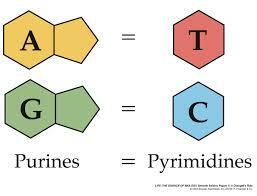 What is a gene and a genome? 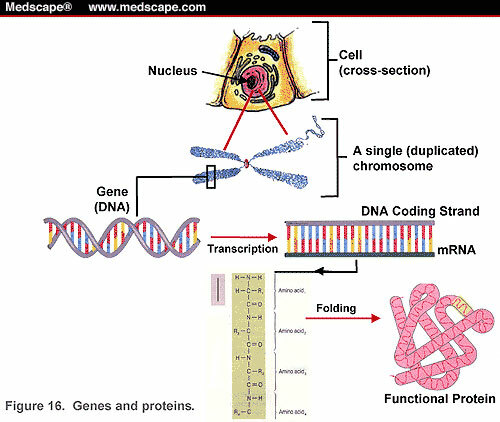 Transcription takes place at the molecular scale. The history of genetics or inheritance? Double Helix by James Watson, notes on. So we don't know for certain about what DNA does? Where to find genes? 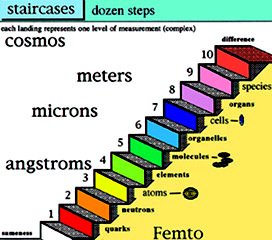 a model of the "stairs within us." Annotated references to the entire site. Century of the Gene, E. F. Keller. On genetics as a search for the meaning & mechanisms of inheritance.